I came home to find this little parcel for me. I am always so excited to receive things in the mail. I went through a period of time when I was purchasing a lot from the internet and it felt like an endless christmas! 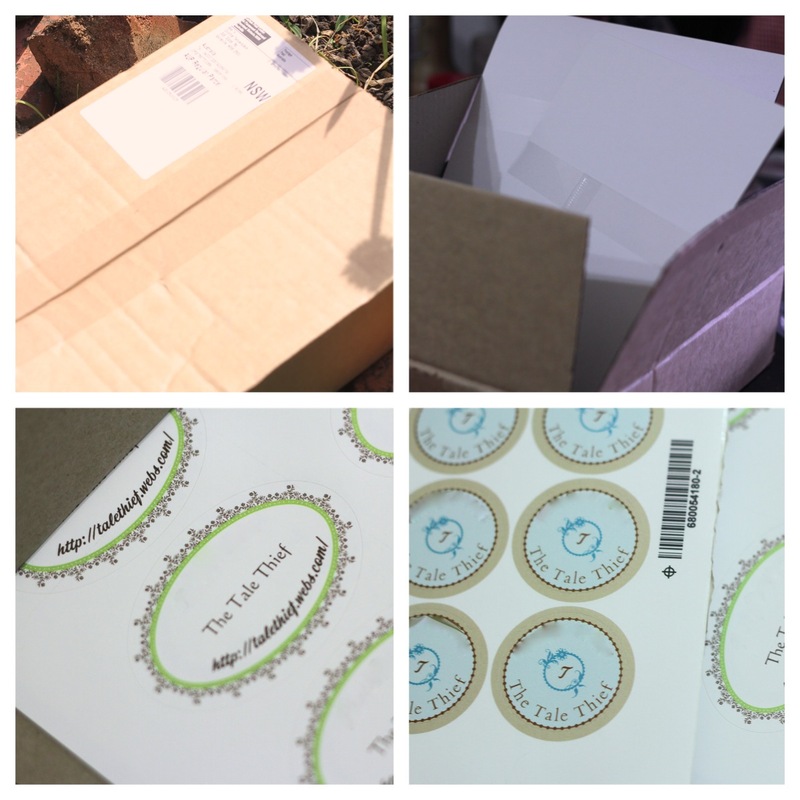 The parcel contained stickers for my business that I have just recently designed and ordered. If you look at the oval sticker, there is a huge white space above "The Tale Thief" and also on the badly smudged parts of the circular stickers. These are not errors in printing as I took the liberty of smudging out a few words from there because that would be this summer's surprise. p.s. don't try going on the website yet. I haven't published it! I can't wait until it's ready to publish!!! This looks so exciting!!! Can't wait to see what your website looks like. Just found your blog through the Monday Blues blog hop and it's great! Following you now and looking forward to reading more. Feel free to stop by my blog and say hello too!